Personalized Family At The Lake Throw Pillow. This pillow is design with the lak e in mind. 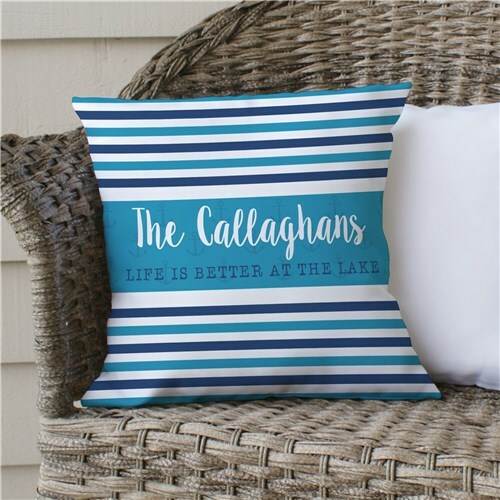 You can have your family name on a lake pillow. This pillow is a beautiful accent piece to complete any family room or room decor with a splash.